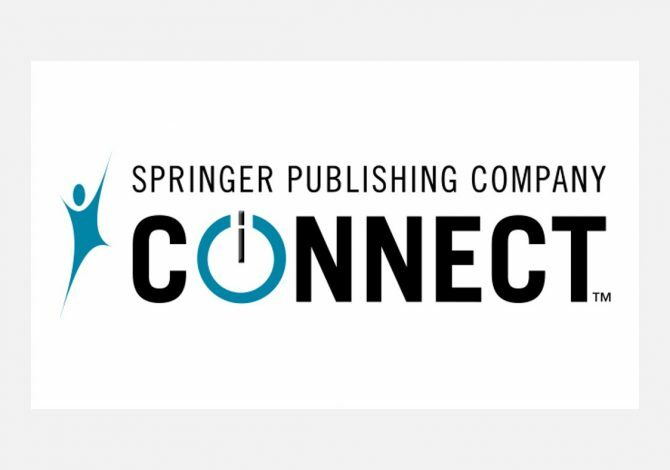 Springer Publishing specializes in content from the nursing, behavioral and health sciences, and medical sectors, with over 100 new text book titles and 20 journals published each year. Its portfolio includes diverse content from professional reference and clinical books, apps, and digital products that support students, instructors, and professionals. 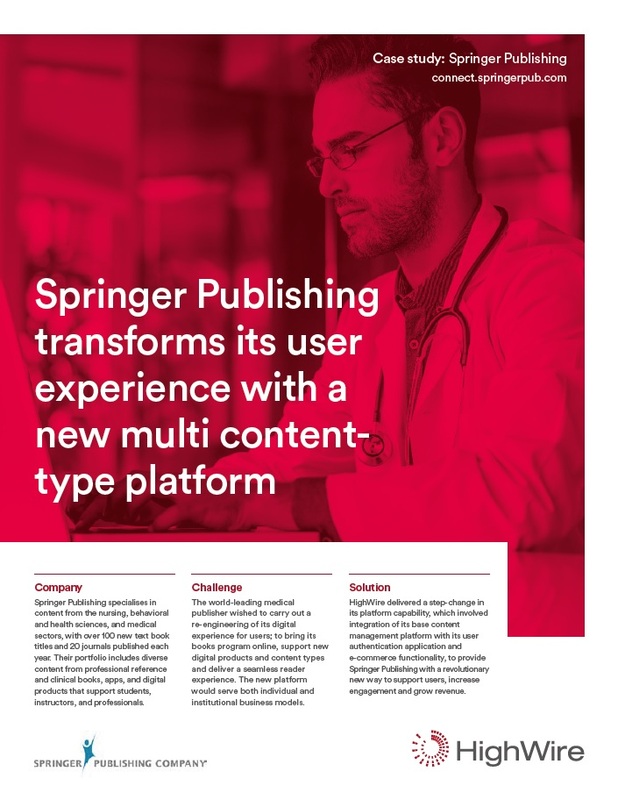 The world-leading medical publisher wished to carry out a re-engineering of its digital experience for users; to bring its books program online, support new digital products and content types and deliver a seamless reader experience. The new platform would serve both individual and institutional business models. HighWire delivered a step-change in its platform capability. The base content management platform was integrated with its user authentication application and e-commerce functionality, to provide Springer Publishing with a revolutionary new way to manage users, increase engagement and grow revenue. When looking for partners to digitise our range of publications, HighWire’s intelligent platform was an easy choice. It gives us the ability to offer up our extensive collection of content to faculty, students and professionals instantaneously and with ease, as well as providing us with valuable insight and data to inform our publishing process. It marks an important step for progress as technology drives demand within the professional and academic publishing sector. Download the full case study to discover more about how HighWire supported this digital transformation project; delivering a content platform that would improve user experience and engagement, manage identity and drive revenues. HighWire Hosting – create the best digital publications and reach the most people. HighWire Identity – simple, flexible access control and identity management.